Today I have this super cute "You Are My OTTER HALF" Valentine's Day Slider Card featuring MFT's Otterly Love stamp set. How cute are these little critters?! 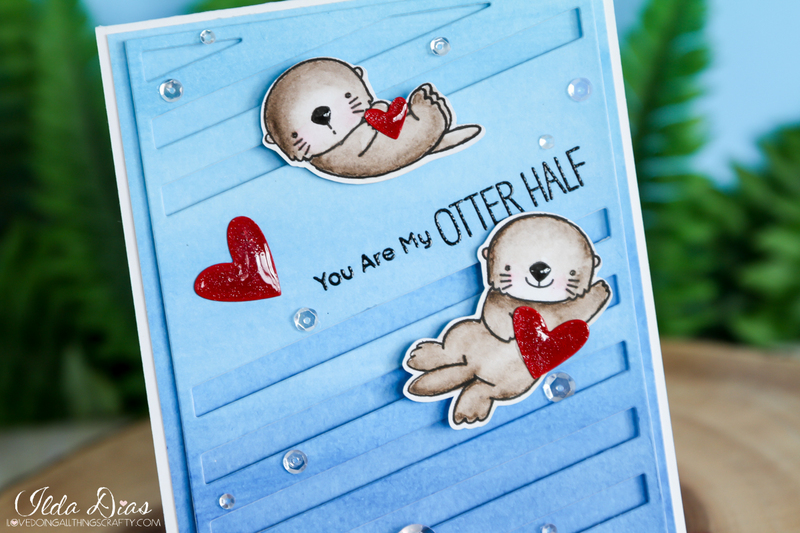 I thought this diagonal sentiment panel would be perfect to turn into a slider card. Here is how I finished off the inside of the card. Seriously, can't get any cuter! For a list of supplies I used today, check out the links below. Thanks for stopping by... 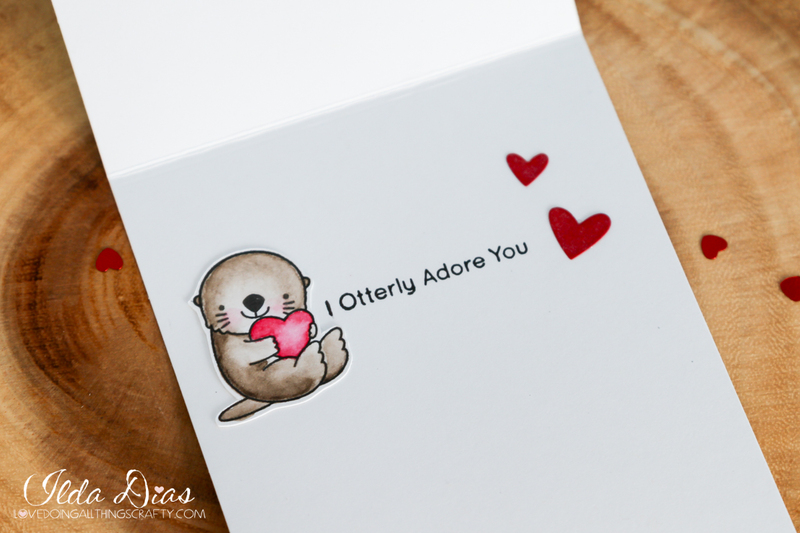 I OTTERLY love you guys! OK, OK, I know enough puns Ilda, haha!